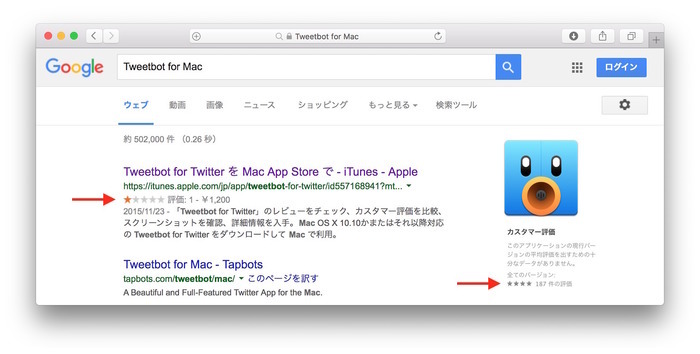 Google、Googleの検索結果に表示されるMac/iOS App Storeアプリのカスタマー評価が常に星1つとなってしまう不具合を来週にも修正するとコメント。 | AAPL Ch. Hi everyone, thanks for your continued reports here. As Spencer mentioned, he’s been following up thoroughly with us regarding this and I’m happy to share that we’ve been working hard on providing a solution, and a new fix has been scheduled for the next release, which should be rolling out early next week. Appreciate your patience here.